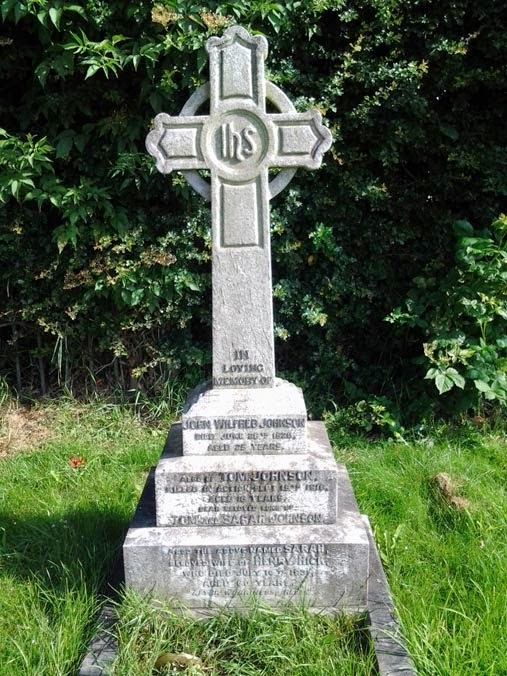 In Loving Memory of / John Wilfred Johnson / Died June 28th 1926 / Aged 25 years / Also of Tom Johnson / Killed in Action, Sept 15th 1916 / aged 18 years / Dear beloved sons of / Tom and Sarah Johnson / Also the above named Sarah / Beloved wife of Henry Hick / who died July 14th 1931 / aged 60 years / "After Weariness, Rest". Tom does not appear to be remembered on any other memorial in the Barnsley area. However his family was from North Yorkshire so he may appear on a memorial there. Tom remembered Thiepval Memorial in France and commemorated on the Commonwealth War Graves Commission website.